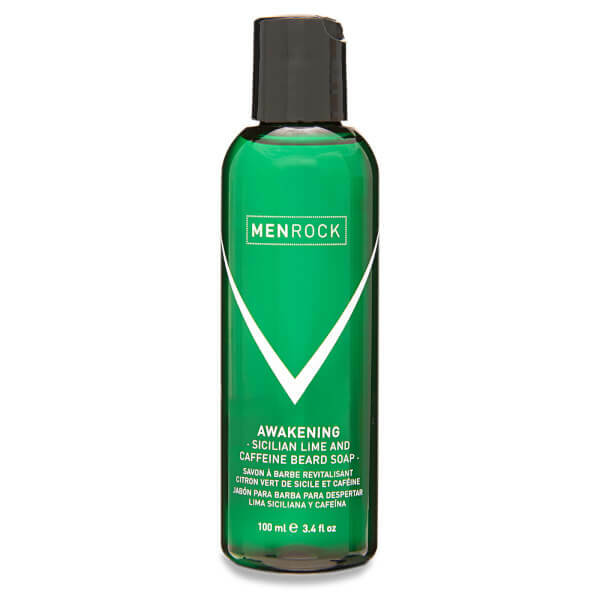 The Awakening Beard Soap from Men Rock gently cleanses skin to remove grease and wash away dirt, leaving your beard refreshed and fragranced with the brand's Sicilian lime scent. Formulated with active ingredient, caffeine to instantly energise your beard, giving it an extra kick. E.N. Directions for use: Apply a small amount to a wet beard, lather, then rinse.